I haven’t done much baking lately so tonight I checked the pantry, enlisted a volunteer (my daughter) and we got busy in the kitchen making a Strawberry’s and Cream Jelly Roll! 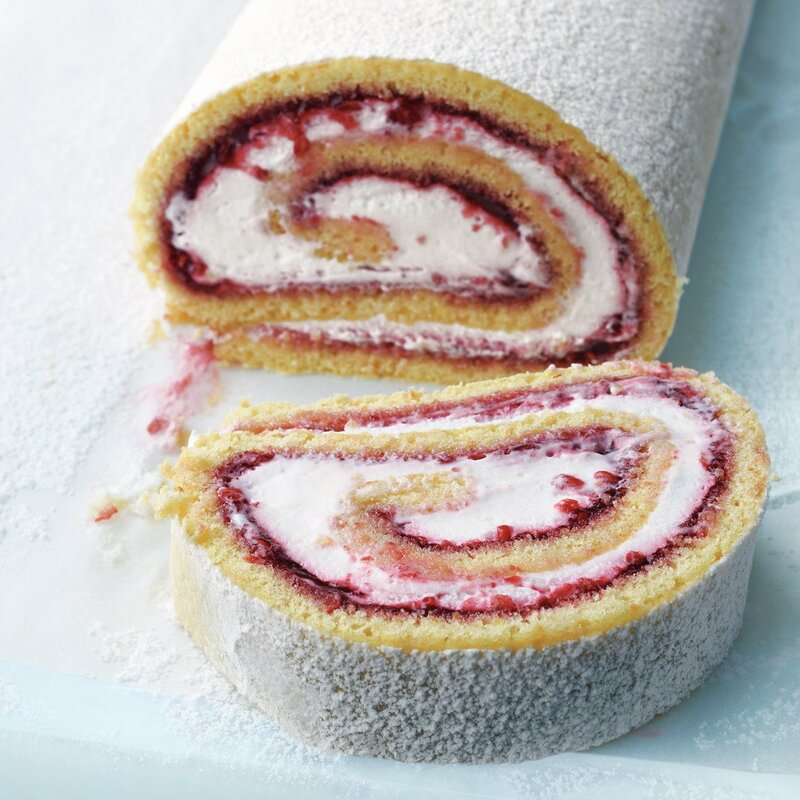 Jelly rolls are believed to be a product of Austria and consist of a sponge cake with a filling of jelly, whipped cream, or icing that is then rolled up. The cake itself is a sponge cake and not a crumb cake or birthday style cake. This is an important distinction because a crumb cake would never hold up to the process of rolling the baked caked. For our recipe we used a filling of both jelly and a homemade fluffy white frosting. It’s So Yummy! Here is what you need for the cake! Preheat oven to 375°F line a baking sheet pan with parchment paper. In a medium bowl beat the eggs on high and slowly add granulated sugar. Beat in water and extract then slowly add dry ingredients. Beat well until batter is very smooth. Pour into pan and push it to the edges and corners. Bake 12-15 minutes or until toothpick inserted comes out clean. Immediately loosen cake from the sides of the pan and turn upside down on to a kitchen towel generously coated in powdered sugar. 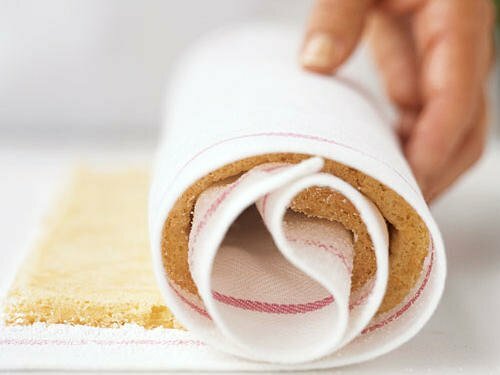 Remove parchment paper, trim off any crispy edges, and while still hot roll the cake and the towel place on a cooling rack for 30minutes or until well cooled. Once cool unroll cake spread on jelly and frosting and roll up the cake! Sprinkle with more powdered sugar. Enjoy! Hello. The only word that comes to mind is “YUM” hopefully soon I can try this and look forward to reading more of your posts. It was so good! I hadn’t made a jelly roll in quite some time. Thanks for reading! What a pretty dessert. Looks so yummy.